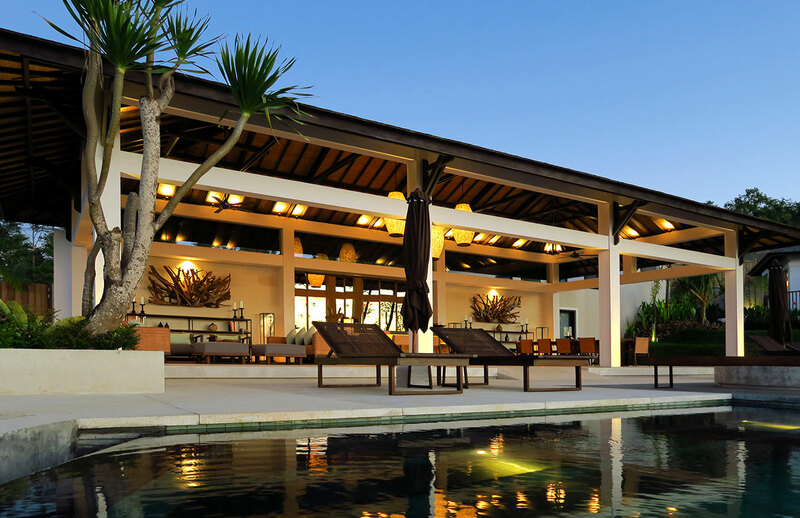 Alta Vista Mountain Villa is a rare modern villa of an international standard of luxury, high in the village of Wanagiri in North Bali. 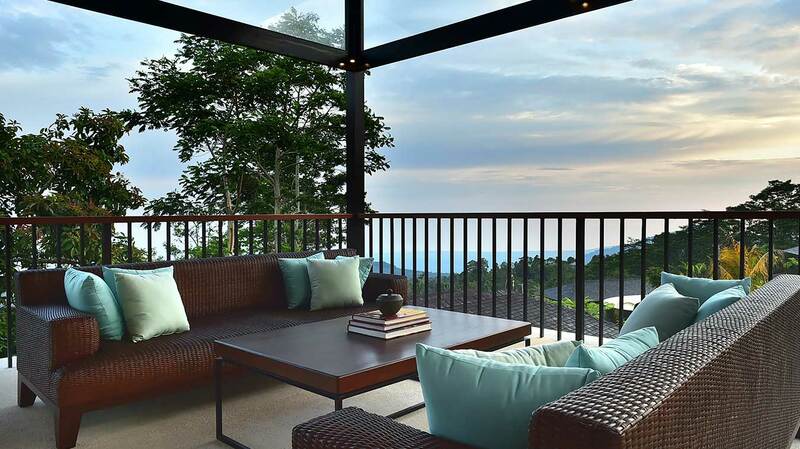 This elegant property sits on 5200 square metres of gently sloping land on the northern face of the highest part of the northern mountain ridge of Bali, with panoramic views around and across to the north coast of Bali. Surrounding the villa are forests, farms and flower fields, rural homesteads and original Balinese villages, where people are incredibly friendly and there is practically no crime. 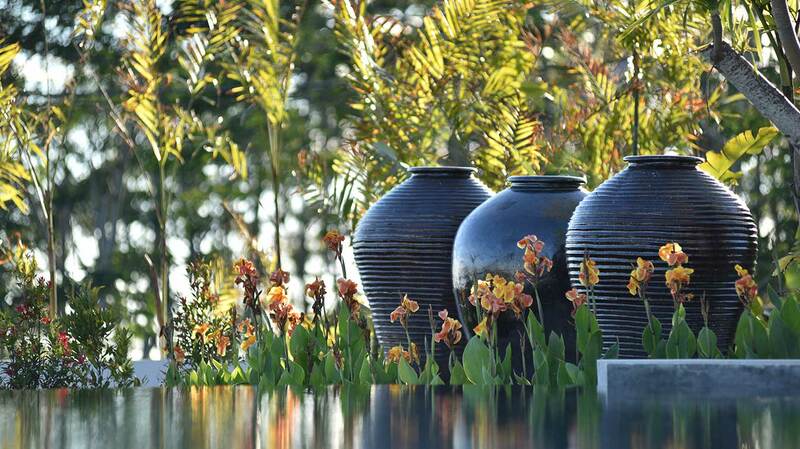 Alta Vista Mountain Villa offers luxury accommodations in North Bali in a unique mountain environment. 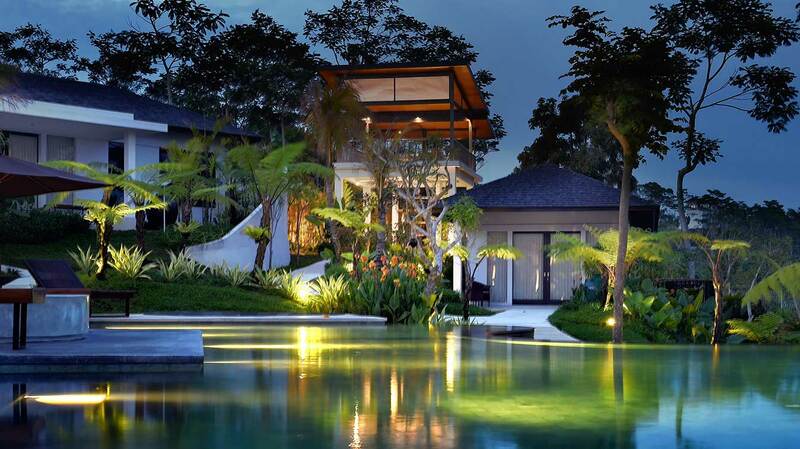 The buildings of the estate are hidden away amidst lush and beautiful gardens designed by internationally famous landscape designer Anton Clark of Bali Landscape Company. The luxurious bedroom villas are incredibly private and peaceful being distributed across the estate and each one has a feel of serenity and solitude. Every bedroom villa has unblocked views down the valleys and across fields, plantations and forests down to the northern coastline. On a clear night, the coastal communities on the north coast sparkle like a sea of jewels when seen from Alta Vista. Designed by acclaimed Bali architectural and interior design team Ibrahim Amir Hasan and Agus Kencana and built to exacting standards by builder Made Astina of Griya Utama, the villa buildings of Alta Vista Mountain Villa ingenuously meld modernist and sleek lines with elements of Balinese traditional architecture. 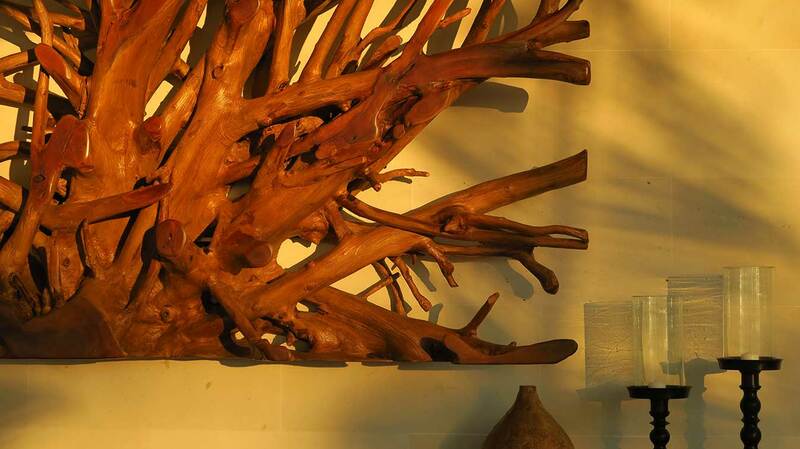 The design emphasises comfort, style and luxury, coupled with ergonometric functionality of all the living spaces. 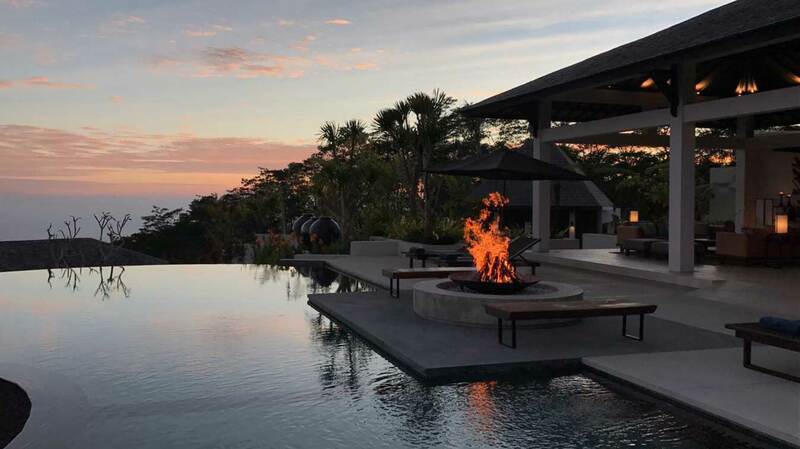 There are only 5 bedroom villas on an estate of 5,200 square metres, thus guaranteeing a sense of seclusion and private luxury when staying in each bedroom villa as well as throughout the estate. 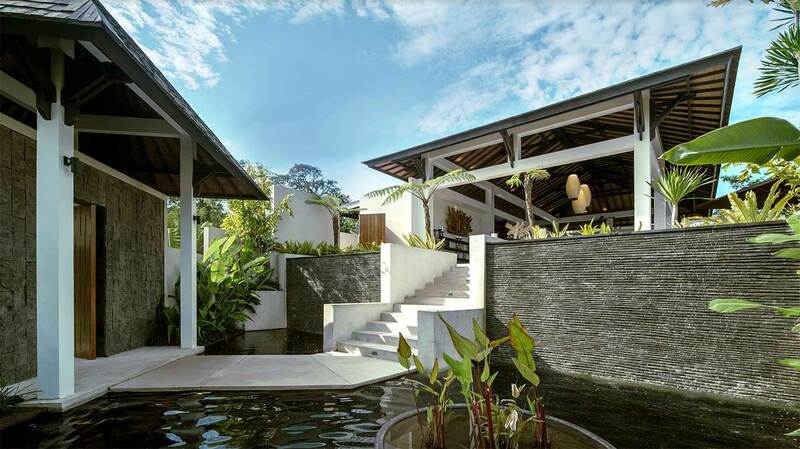 Alta Vista Villa is conceptually a “home-stay”, based on a single house with five bedrooms, where the luxury bedroom villas are individual villas set amid gardens and connected to one another and the main living, dining and pool areas by elegantly curved pathways meandering through gardens. 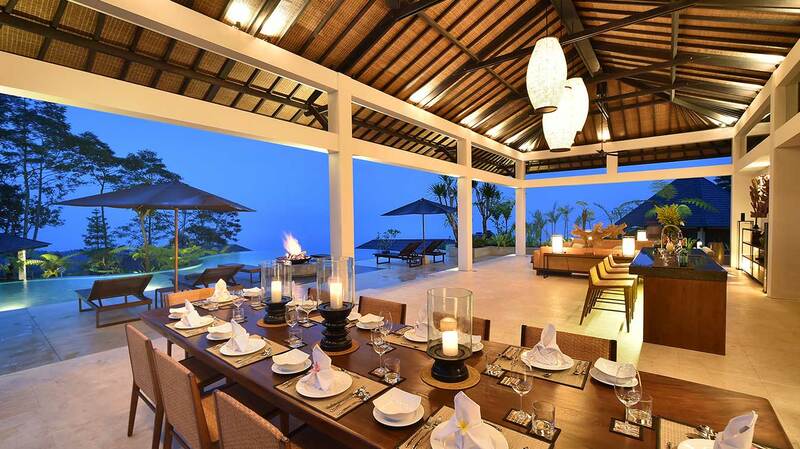 Alta Vista is thus ideal for renting as a whole holiday house, which includes the Suite Villa and all four Luxury Villas. This guarantees exclusive and private use of the entire property suitable for a large group of extended family and/or friends. 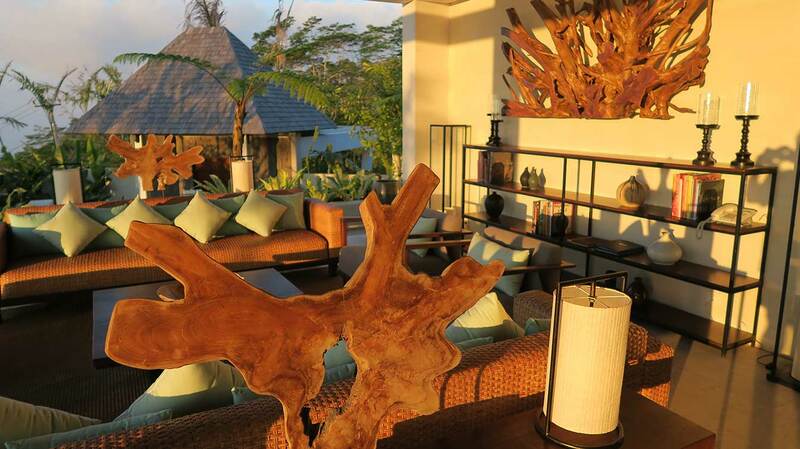 When the entire property is not rented as a whole, it is possible to rent one or more individual bedroom villas. 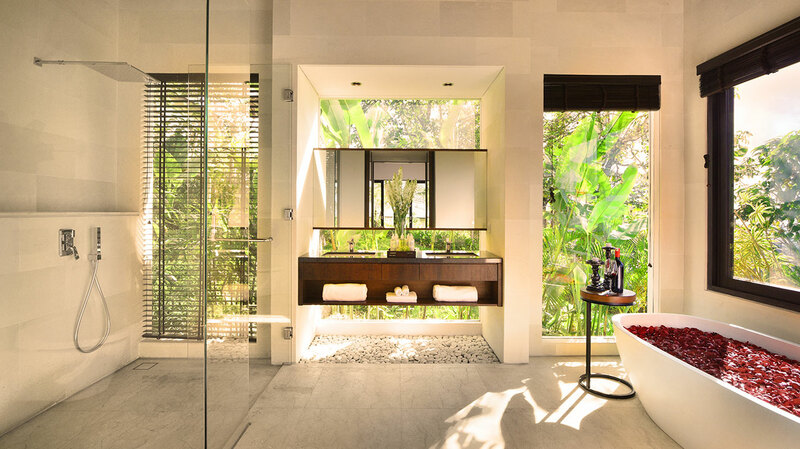 This of course means that there may be other vacationers on the property, much like a boutique resort hotel, sharing all the common facilities. 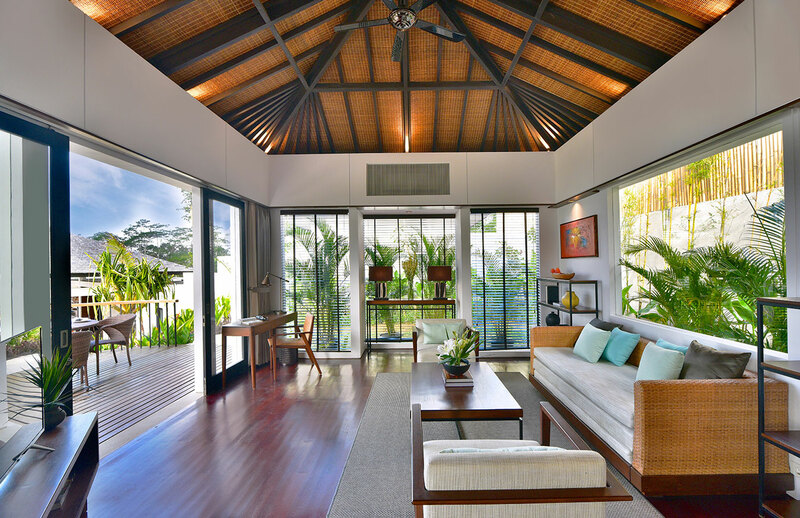 But because the bedroom villas are well spaced amid lush gardens, maximum privacy and sense of seclusion are ensured when in the villas. 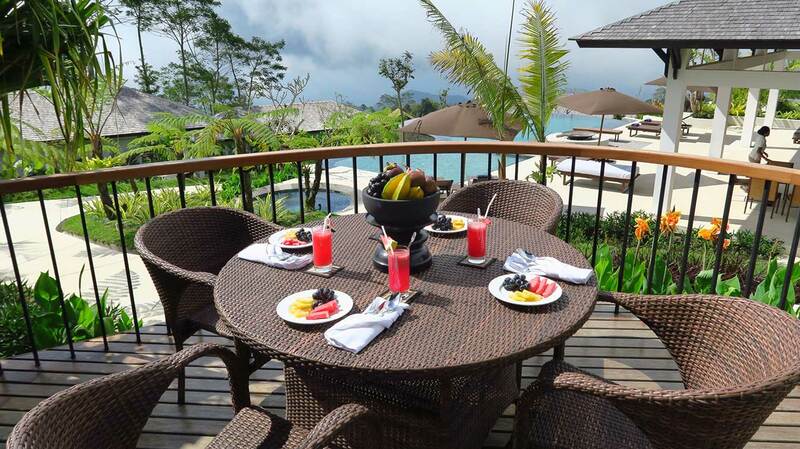 Meals can be taken as a social event at the communal dining table which can seat 12 persons at a time, or be taken privately at each bedroom villa on the outdoor deck’s lounge/dining suite on a room-service basis. This would be a delightful option for a romantic candlelit dinner, overlooking your private mountain view at sunset.